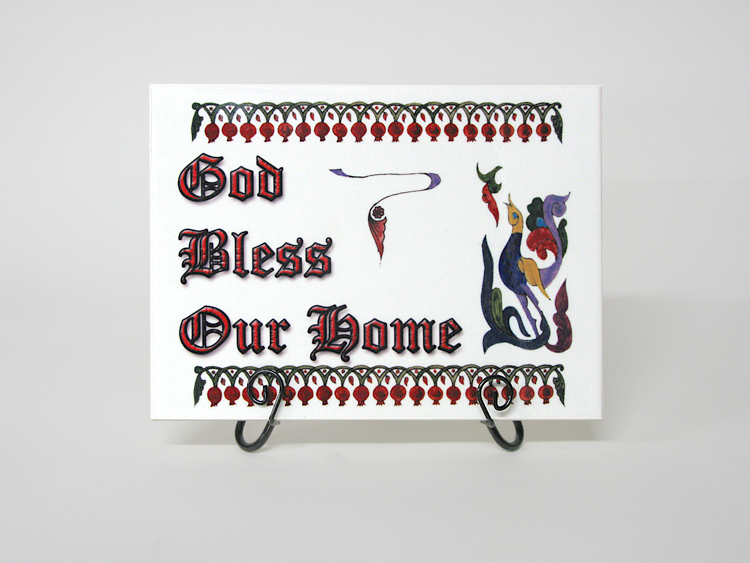 This ceramic tile--measuring 6 by 8 inches--reads "God Bless Our Home" in red Gothic-style font. The tile is decorated with pomegranates and a colorful crane--two traditional motifs in Armenian art. Ready to hang.